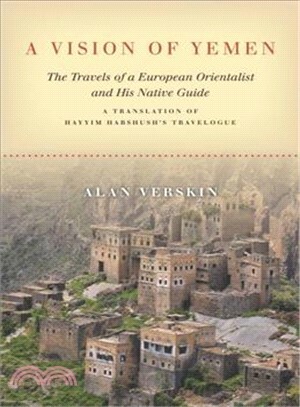 In 1869, Hayyim Habshush, a Yemeni Jew, accompanied the European orientalist Joseph Halévy on his archaeological tour of Yemen. Twenty years later, Habshush wrote A Vision of Yemen, a memoir of their travels, that provides a vivid account of daily life, religion, and politics. More than a simple travelogue, it is a work of trickster-tales, thick anthropological descriptions, and reflections on Jewish–Muslim relations. At its heart lies the fractious and intimate relationship between the Yemeni coppersmith and the "enlightened" European scholar and the collision between the cultures each represents. The book thus offers a powerful indigenous response to European orientalism. This edition is the first English translation of Habshush's writings from the original Judeo-Arabic and Hebrew and includes an accessible historical introduction to the work. The translation maintains Habshush's gripping style and rich portrayal of the diverse communities and cultures of Yemen, offering a potent mixture of artful storytelling and cultural criticism, suffused with humor and empathy. Habshush writes about the daily lives of men and women, rich and poor, Jewish and Muslim, during a turbulent period of war and both Ottoman and European imperialist encroachment. With this translation, Alan Verskin recovers the lost voice of a man passionately committed to his land and people. Alan Verskin is Associate Professor of History at the University of Rhode Island.